The major facilitator superfamily domain-containing protein 2A (MFSD2A) is a constituent of the blood-brain barrier and functions to transport lysophosphatidylcholines (LPCs) into the central nervous system. LPCs such as that derived from docosahexanoic acid (DHA) are indispensable to neurogenesis and maintenance of neurons, yet cannot be synthesized within the brain and are dependent on MFSD2A for brain uptake. 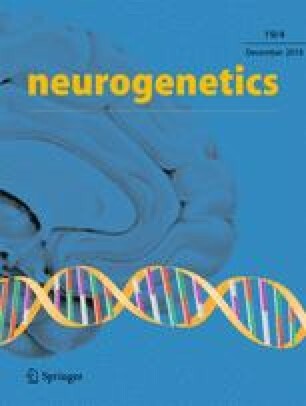 Recent studies have implicated MFSD2A mutations in lethal and non-lethal microcephaly syndromes, with the severity correlating to the residual activity of the transporter. We describe two siblings with shared parental ancestry, in whom we identified a homozygous missense mutation (c.1205C > A; p.Pro402His) in MFSD2A. Both affected individuals had microcephaly, hypotonia, appendicular spasticity, dystonia, strabismus, and global developmental delay. Neuroimaging revealed paucity of white matter with enlarged lateral ventricles. Plasma lysophosphatidylcholine (LPC) levels were elevated, reflecting reduced brain transport. Cell-based studies of the p.Pro402His mutant protein indicated complete loss of activity of the transporter despite the non-lethal, attenuated phenotype. The aggregate data of MFSD2A-associated genotypes and phenotypes suggest that additional factors, such as nutritional supplementation or modifying genetic factors, may modulate the severity of disease and call for consideration of treatment options for affected individuals. The online version of this article ( https://doi.org/10.1007/s10048-018-0556-6) contains supplementary material, which is available to authorized users. The authors wish to thank the family for their participation in this study. The work was supported in part by National Research Foundation grants, Singapore NRF2016NRF-NRFI001-15 (to D.L.S. ), NRFI2015-05 (to M.R.W. ); by the Biomedical Research Council of A*STAR (to H. F.); and by a BMRC-SERC joint grant (BMRC-SERC 112 148 0006, to M.R.W.) from the Agency for Science, Technology and Research, Singapore.